Photography – both digital and film. Lately I've been cleaning up and repairing old cameras that I still have from my childhood. This is a Minetta. It's a subminiature camera made in Japan in the 1950's. It takes unperforated 16mm film. This is a Clix-O-Flex twin lens reflex made in Chicago in the 40's. It's a half frame 127 camera. This Kodak Brownie Holiday was given to me by my aunt Ruth when I was 5 and was my main camera until I bought a 35mm camera in college. It uses 127 film. The Vest Pocket Kodak Model B was my Dad's. Made between 1924 and 1935 it too takes 127 film. All of these cameras use film sizes that are no longer available today. I need to cut down 120 film in the darkroom to make 127 film. Luckily the left over film fits the Minetta. 120 film is 60mm wide. 127 film is 46mm. That leaves 15mm for the Minetta. All the shutters were gummy with age and didn't work properly. I disassembled and cleaned them with alcohol. I also cleaned all the lenses and viewfinders and dusted off the cameras inside and out. Now all I have to do is cut and spool some film. I've got the backing paper and spools and I've figured out how to cut the film in the dark. I just have to straighten up and clean the darkroom. I have a Paterson Universal developing tank with adjustable plastic reels that can handle 127 film. I'm not sure how I'll develop the 16mm film. I'll probably have to hand dunk it in an open tank or tray. I recorded our cockatiel, Beaker, on my iPad using a new recording app called TwistedWave. It’s a nice little editor too. I normalized the recording and saved it as an mp3 file. The app also lets you FTP a file. So, I uploaded it to my blog server. 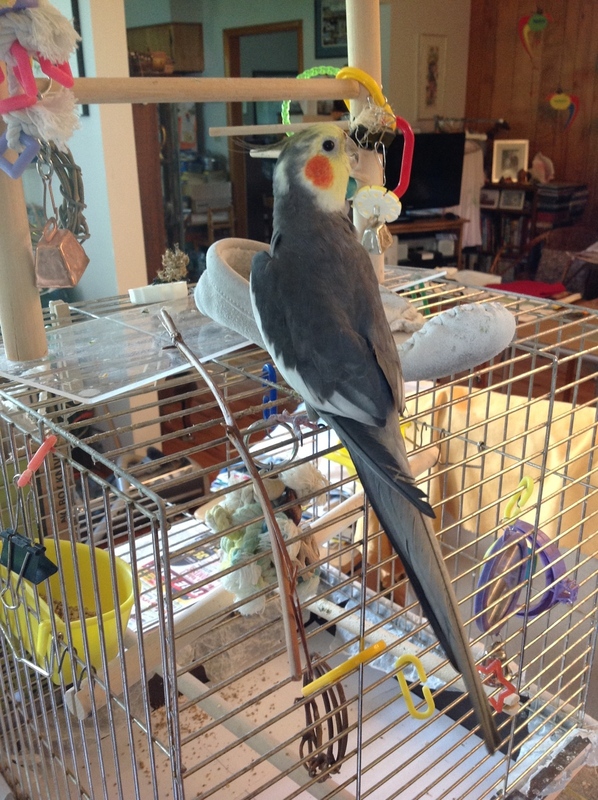 I also took Beaker’s picture with my iPad and resized it down to 1600 pixels tall using the iResize app. I’m using BlogPad to write this post. This time I’m sending a picture from my iPod touch using the email program. 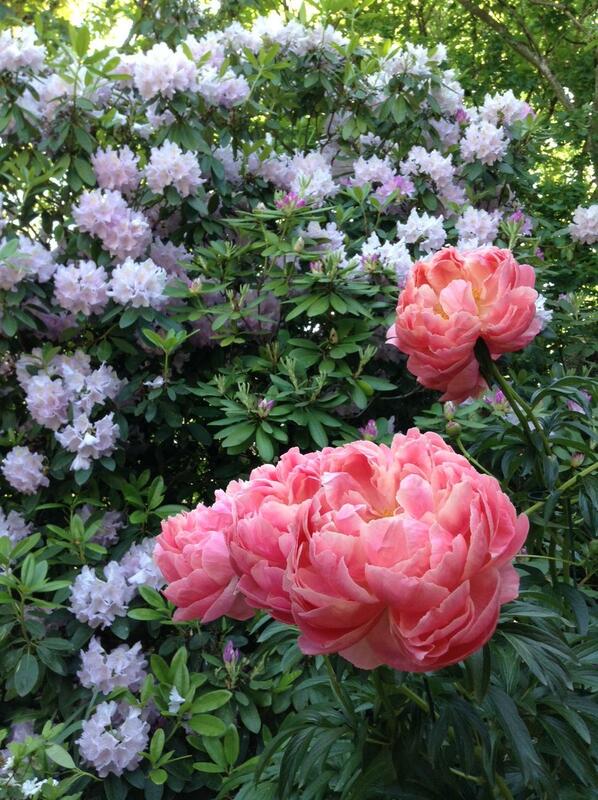 Our peonies and rhododendrons are in full bloom. 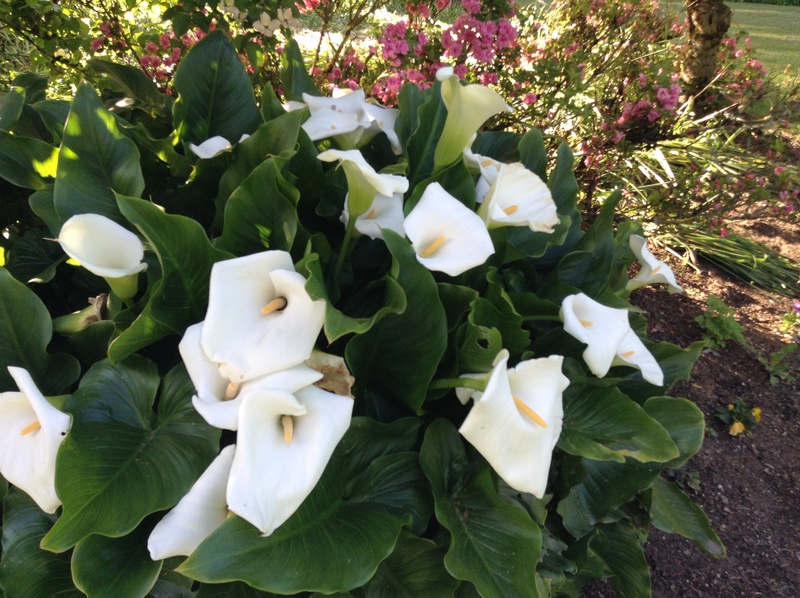 The Callo lilies are blooming. I took this photo with a homemade 35mm pinhole camera. I scanned the color negative and uploaded the image file to Photoshop Express. I resized and sharpened the image in Express then added the frame and matt using picnik.com. I saved the file to my computer and then emailed the finished image to Posterous.